This year has been one of the best for music in a few years. With so many new artists releasing their debut albums and more just getting started, 2012 may be hard to top. 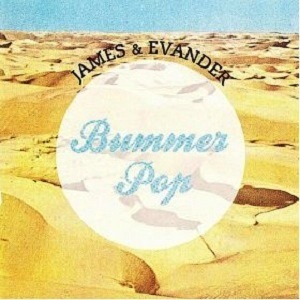 One genre that has been doing exceptionally great lately is electronic music and Oakland duo James and Evander couldn’t have dropped their debut at a better time. Bummer Pop is their first LP, and after delivering numerous 7 inches and EPs they’ve established a sound that is distinctly their own. The listener is taken through ten tracks of flashy synths, soothing vocal melodies, and dazzling electronics. “Ambigamy” kicks things off with dreamy atmospheres and a slight club vibe that the band labels as future pop. “CTSOF” is an instrumental that takes us on a glittering, hazy ride of wonder which is nothing short of captivating. The album closes amazingly with “What Else Is New?,” a track that demonstrates the best elements of Bummer Pop and leaves us still wanting more. If you’ve been looking for a release that you can kick back to yet dance along with then look no further.